Oh what a difference! In fact riding a surfboard is a totally different animal altogether. You will discover a completely new sensation being much more ‘on’ the water than sliding through it with a different viewpoint and perspective entirely. Riding a surfboard causes little or no spray and when you turn it feels so smooth that you become a lot more graceful! You’ll cruise upwind with ease and speed, often at a different angle of attack compared to those riding twin tips. There’s a sense of pride that comes with driving a strapless board too and you’ll want to push those boundaries further and further! Nature gave us waves so why not challenge nature and find a use for them! If you can already ride and stay upwind on a twin tip then you’ve probably got good enough skills to try a strapless surfboard, so why not. It’s really not as hard as you think to get up on the board and start riding and you might well get your first runs confidently in your first session! I chose the strapless path partly because I couldn’t imagine mastering unhooked tricks to fulfil my desire to progress as a kiter. After an injury, my riding style has become one that steers clear of rotations, and although strapless is still very physical, it poses less risk for me twisting my knees again. Having said that you’ll need super strong legs to be able to ride waves properly and can still suffer immense wipeouts but saved from the impact you get from boosting high. It always baffles me how simply changing a board can work entirely different parts of your body and boy do your legs feel it strapless! Here’s a few exercise tips from Rob’s previous post to get your body ready to take on those waves! Imagine setting your feet free and giving them the power to tweak your positioning for optimum advantage. “Riding strapless gives me a lot of freedom. That’s one of the main reasons I took my straps off. Being able to reposition your foot during a wave ride means you will always find the sweet spot on your board. When I’m going down the line I move my back foot more to the center of the board, and when I start to do my bottom turn and during my off the lip I move my foot more towards the tail. There’s nothing wrong with using straps with your surfboard but we at Progression believe that trying strapless will get you into better habits allowing you to progress into riding waves the right way. Even if you are happy riding a strapped surfboard, you may find a few session on flatter water without the straps will be a humbling experience. It will give you a far better feel for your board and improve your riding when you screw those straps back on. 6. 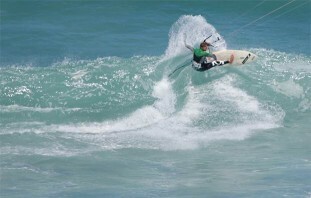 Traditional Surfing with a Tow In! Some say part of the experience of traditional surfing is swimming out to the surf break and waiting for the right wave; you need to earn the reward of catching a wave. That might be so but imagine what the aid of a kite can do for you; you can tow into as many waves as you like, in conditions when waves are not great for surfers! Using a kite to surf is like having your own personal ski lift that gets you to all the good bits and allows you to go all out once dropped into a wave. If you’ve been put off trying a surfboard as there’s no waves locally to you then think again! In recent years we’ve seen a totally new side of the sport emerge in the form of strapless freestyle! 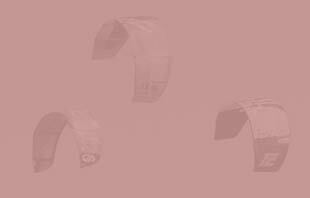 What’s more is there’s now a whole GKA world tour dedicated to strapless pros! “A lot of people ask why I choose strapless and my answer is always because it’s a whole new technical dimension of kitesurfing. If you’ve been thinking of trying a hydrofoil board and wanting to jump straight in without ever ridden a surfboard you’re going to find it extremely difficult (and perhaps painful) learning. 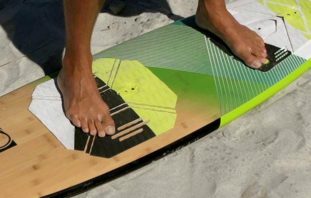 The reason previous surfboard experience will help the transition to foiling is you’ll already be used to riding with the weight over your front foot (unlike with twin tips where the weight is on the back foot). Check out our previous guest blog from world champion foiler Steph Bridge on ‘what to expect when learning to kite hydrofoil’ and Rob’s post giving you ‘3 tips for your first day on a kite hydrofoil board’. That’s eight reasons but the list could go on and on. 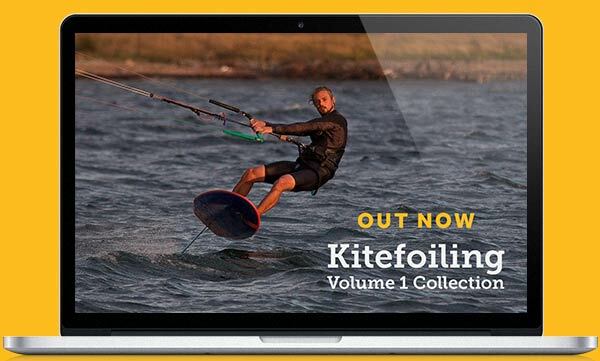 Why not get even more inspired to try a strapless surfboard by checking out our wave videos on YouTube, or the trailer for Progressing Kitesurfing Series below.